Whether you are looking to run courses, retreats, expeditions, socials, stag/hen do’s or simply wanting to relax with friends and family for a holiday or special occasion, the Glebe Barn could be perfect for you. With comfy chairs around a wood burning stove, a relaxing sunroom, a selection of books, table football and board games for all ages, the Glebe offers a great space for groups to relax and socialize. The open plan living & dining room is extremely versatile for study groups, with plenty of space to hold meetings, workshops or presentations. The Glebe Apartment can also provide private accommodation for staff, course leaders or grandparents wanting a bit of peace and quiet away from the rest of the group! If you would like catering we would highly recommend our island caterers, Eiggy Bread who provide exceptional wholesome meals from local produce. 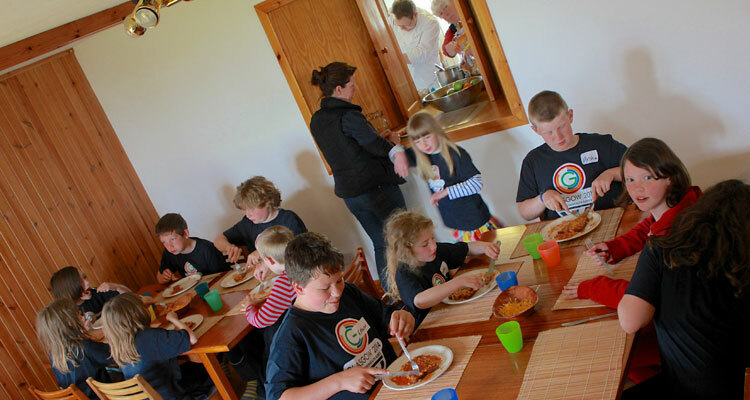 Options include full board (breakfast, packed lunch & evening meal), evening meals or a one off catered meal for a special treat during your stay. Eigg offers young people the opportunity to get away from the pressures of mainland life, enjoy access to wilderness and experience the world at a difference pace. Our safe island life provides an inspirational and educational environment for youth groups of any age or description, from scouts & girl guides to school groups, university field trips or Duke of Edinburgh expeditions. There are plenty opportunities for outdoor activities, wildlife watching, exploring archeological or geological sites and a wealth of inspiration for creative projects. 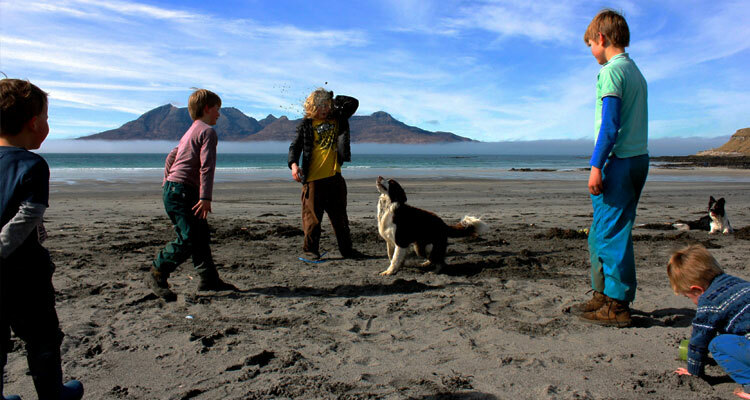 Eigg has proved to be a great base for a range of interests including creative writing, music, archaeology, sustainable development, architecture, renewable energy, geology and environmental studies. 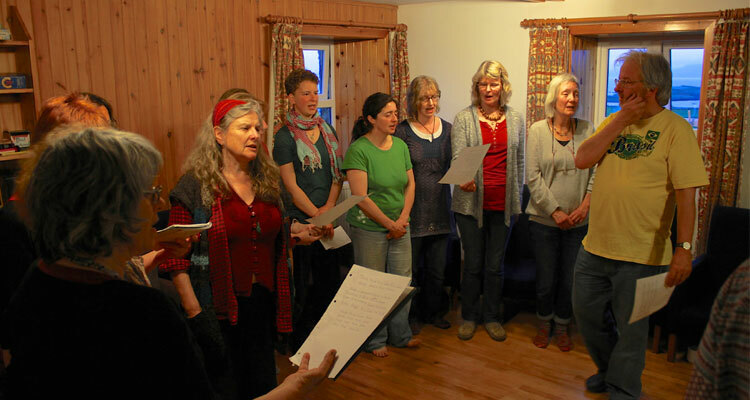 We would be happy to help put you in touch with local activities including kayaking, archery, willow weaving, felt making, qi gong, ceilidh dancing, guided walks, nature walks, crofting tours, bespoke organic gardening courses or volunteering with Isle of Eigg Heritage Trust. 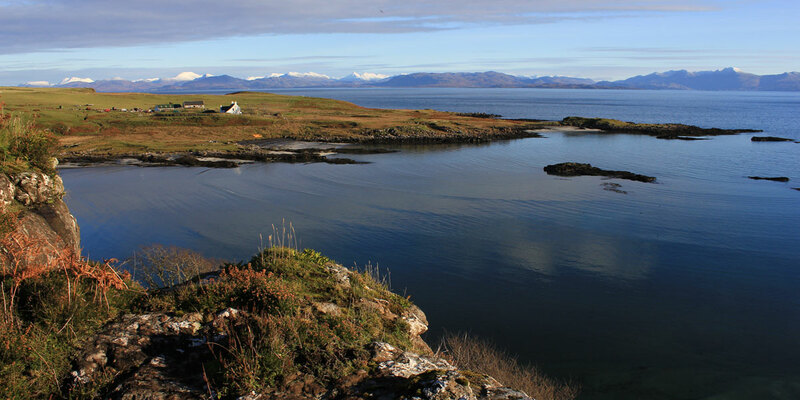 With varied natural habitats, fantastic marine life, birdlife & wildlife, fascinating geology and archaeological features, Eigg is a perfect destination for all types of special interest groups, clubs and societies. We have repeat visits from walking groups, bird watchers, divers, geologists, botanists, adventure holiday trips, musicians, singing groups, photographers, artists and more. 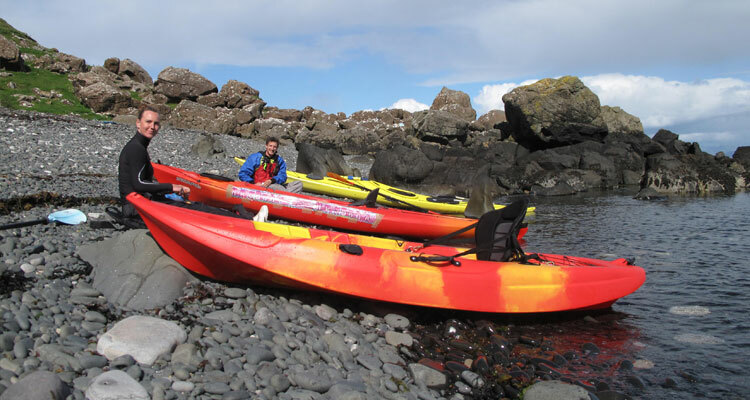 In recent years the island has also been visited by paragliders, kite surfers and is increasingly popular with kayakers paddling the Small Isles and beyond. Looking for a venue with a difference? Our peaceful island location provides an inspirational base for hosting courses, retreats, training or events. The open plan living & dining room has ample space to hold meetings, workshops or presentations, with break-out workspaces in the sun-room and laboratory room. The Glebe Apartment provides ideal private accommodation for staff or course leaders. Be it well-being retreats, special interest courses or corporate training events, we’d love to help facilitate your groups stay at the Glebe Barn.